Sign up and print the Screamin’ Pizza coupon. These pizzas are soo good and hearty. Save over $3 during the mega sale! Find the FULL 3/21- 4/3 Mega List HERE! 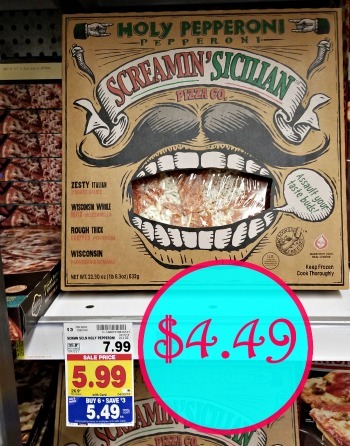 Screamin’ Silcilian Pizza Save Half Off! 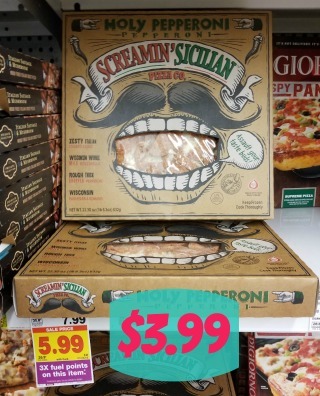 Grab a Screamin’ pizza for half off the regular price. These pizzas are soo yummy. $3.99 + 3x fuel points!